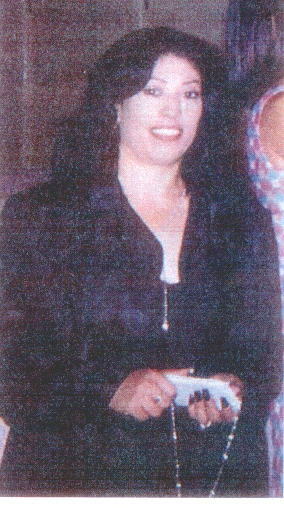 $10,000 Reward Offered re July Murder of LB Mother of Seven, Vicinity 7th St. & Olive Ave.
(Sept. 5, 2001) -- A $10,000 reward has been offered by the Carole Sund/Carrington Memorial Reward Foundation for information leading the arrest and conviction of the person(s) responsible for the murder of Graciela Zavala, the mother of seven murdered in front of her apartment near 7th St. and Olive Ave. two months ago. As previously reported by LBReport.com, on July 8th at about 11:15 p.m., Ms. Zavala, age 39, was shot and killed and two other individuals were wounded by gunshots in the 700 block of East 7th St. not far from St. Anthony's Church. Ms. Zavala was reportedly sitting on the front porch of her apartment with neighbors when an unknown assailant walked up and fired multiple shots into the group. Nearly two months after Ms. Zavala was laid to rest, the person(s) responsible for her murder remain at large. Fliers announcing the $10,000 reward were distributed in the neighborhood today. LBPD is seeking the public's help in solving the case. Anyone with information regarding the case is urged to call LBPD Homicide Detectives Stephen Jones or Mark McGuire at (562) 570-7244.